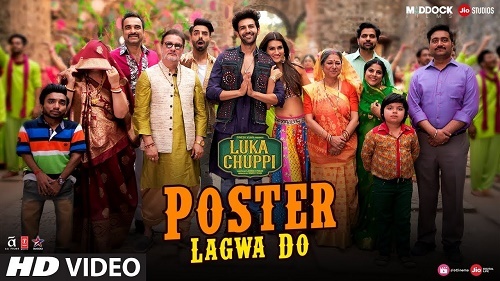 Here comes Poster Lagwa Do Lyrics from the upcoming movie Luka Chuppi. The song has been composed and lyrics has been penned by White Noise Studio while Mika Singh and Sunanda Sharma has sung the song. The film Luka Chhupi stars Kartik Aaryan and Kriti Sanon in the lead role. Poster Lagwa Do Lyrics from the upcoming movie Luka Chuppi. The song has been composed and lyrics has been penned by White Noise Studio.